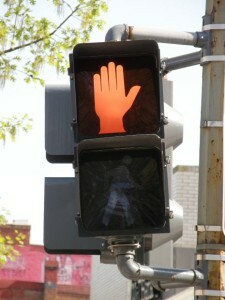 Pedestrian accidents in Fort Lauderdale and surrounding areas have been a concern for some time. The city’s Las Olas Boulevard has especially been the site of a number of traffic accidents. A new initiative in the area is supposed to crack down on the number of pedestrians injuries – but does it send the wrong message about roadway safety? The latest program asks pedestrians at the intersection of Las Olas Boulevard and Southeast 13th avenue to make eye contact with the driver when crossing the street and to wave one of the neon-orange flags provided at the intersection. The program is part of a test to see whether the flags will improve safety. So far, only the one intersection in Fort Lauderdale has the flags and instructions on how to use them, but the flag system has been tried in other parts of the country. In two U.S. cities, communities eventually got rid of the flags after deciding that they were not helping prevent collisions. The idea behind the flags is to make pedestrians more visible to drivers. Of course, in order to be effective pedestrians actually have to use the flags and drivers have to be watching the intersection closely enough to notice the flags. The flags are not the only attempts made on Las Olas to prevent pedestrian and intersection accidents in Fort Lauderdale. There are plans to restructure Las Olas so that it is safer for pedestrians. Among the plans are goals to change traffic lights and to reduce or expand lanes at various parts of the street. There is certainly room for improvement. The 2014 Dangerous by Design report named the Miami-Fort Lauderdale-Pompano Beach region the fourth worst for pedestrians. However, are flags the best ways to prevent roadway accidents? Part of the problem with the flags is that they put the onus and the responsibility for safety on pedestrians. It is pedestrians who are expected to change their habits and to make themselves visible. The problem is that in order to be visible, motorists need to be looking. Unfortunately, in many pedestrian crashes it is drivers who are at fault. Some drivers simply fail to yield right of way or are driving too fast to notice pedestrians – whether they are waving flags or not. Many drivers are also driving distracted or drunk, and flags cannot address those issues. Better driver education, better enforcement, and better road design in Fort Lauderdale and other communities seem like stronger options for preventing injuries and fatalities on roads. The problem, of course, is that those initiatives cost a lot more than the flag program. The flag program reportedly cost the city $60 to implement and the biggest problem is likely to be flag theft and getting pedestrians to use the flags. If you have been injured in a pedestrian accident in Fort Lauderdale or another community, contact Flaxman Law Group at any time for a free consultation. The attorneys at our law firm have recovered compensation in thousands of cases. Our team also has more than six decades of experience in the legal field and would be pleased to meet with you in a free consultation to discuss your potential case.